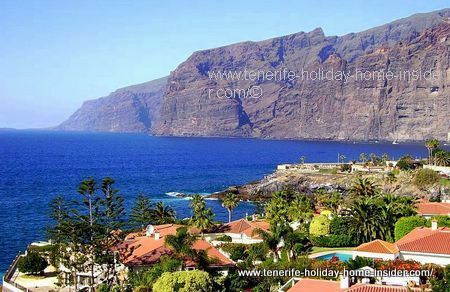 Resort property Tenerife Los Gigantes culture and tips. 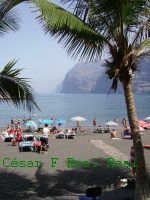 Public holidays by the resort property Tenerife of the most stunning Tenerife Westcoast region are not few. This is all about this Los Gigantes apartment that was for sale. 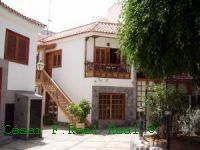 Its owner or renter may enjoy all the usual 'Fiestas', such as celebrations of Christmas, Easter and Carnival and all the Romeria (folklore) festivals of the region Santiago del Teide. However, there are special holidays, too. Fiesta del Carmen on 16th of July at Puerto Santiago which is also celebrated on the ocean. Romeria del Volcano because of the volcanic eruption of 1909 when Mount Chinyero bypassed a famous local chapel la Ermita de Santiago without harming it. 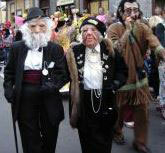 Los Gigantes Carnival around February/March always after the Puerto de la Cruz carnival. 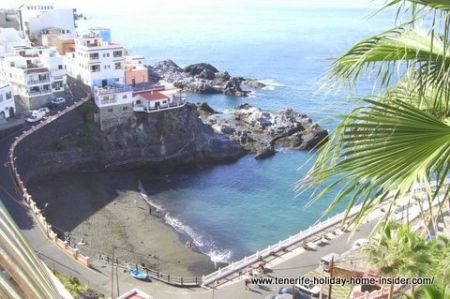 Neighborhood of the resort property Tenerife. It's in a middle class suburb. Many building have 3 or 4 floors. Sometimes, there is also the architecture that echoes a typical Colonial fashion of Tenerife houses with wooden balconies and bay windows that was in vogue, almost a century ago. Some passages in the village are narrow and for pedestrians only. Many bars, bistros and restaurants abound, as is normal in Tenerife towns. There is much up and down, as much of Los Gigantes and Santiago del Teide was built on slopes. That's unsuited for all who have a mobility problem, such as week knees or spines. You can alway drive to catch a boat in the Marina of Los Gigantes, for an outing at the Harbor club or to get to the stunning Los Gigantes beach. Unfortunately, I am not up to date with restaurants in Los Gigantes. Nowadays, there are frequent changes. Hopefully, this has been taken into consideration by this big international portal which also lists reviews that are old. So just look at the latest entries. 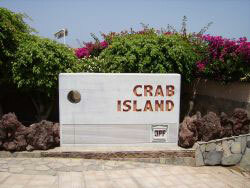 Crab Island (la isla de cangrejas) for fly fishing. Back to Los Gigantes where all attractions of the region are listed, such as the Lido Los Gigantes, Rock pools, Oasis, Ermita Santiago, Masca, Teide and Los Christianos trips, whale watching, speed boats and much more.